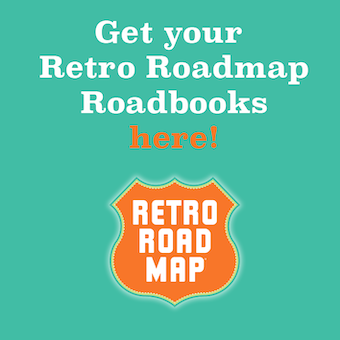 One of the main reasons I created Retro Roadmap was to let folks - including myself - know when there was someplace cool, old, original and authentic just off the highway. I'll never forget taking one my very first road trips with my sister. This was pre-internet of course - and while we hoped to find someplace real and charming to grab a bite, we ended up reluctantly stopping at a chain burger place to eat. Of COURSE as soon as we pulled out of the parking lot and continued south we saw an awesome vintage diner - had we only known it was there beforehand! 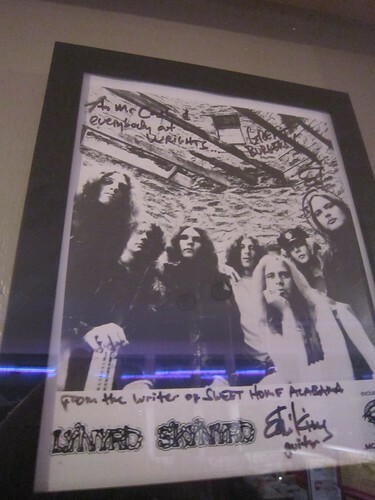 I'm telling you, that experience is a landmark in my life, and a motivation to create this lil webworld of mine. 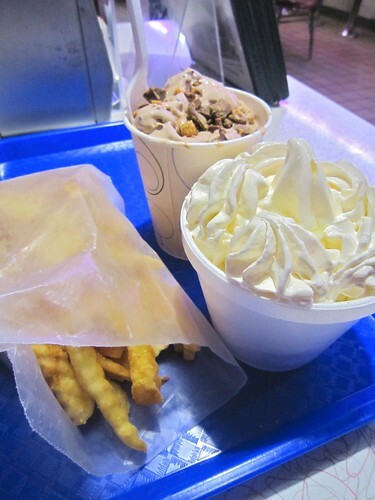 Anyhoo - technically Wright's Dairy-Rite - just outside of downtown Staunton, VA - is about 3 miles off of Route 81 as it slices up the middle of Virginia. But compared to the miles that fly by on the interstate, 3 miles ain't nothin. Wrights is also actually located ON fabulous Route 11, one of my fave by-way highways, so it's easy to get to no matter how fast you're driving. And once you pull up and see that glowing neon welcoming you, it's a sight for sore eyes - especially on a rainy night after driving on the highway with the windshield wipers a-wiping. I dodged the raindrops to grab this photo, and was pleasantly surprised to see the glow of a drop refracting in the sign. Not to digress too much but Staunton Virginia is an ADORABLE little town and I highly recommend spending some time there if you ever get the chance. I promise to post photos of the vintage goodness we discovered during the daytime. 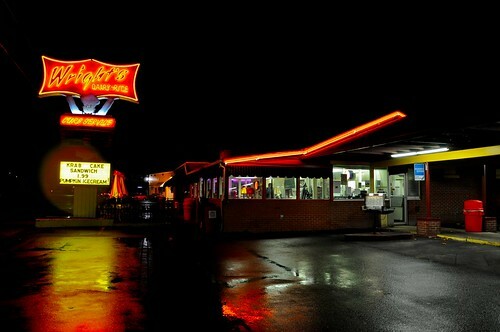 But at the time of night we were passing through we were happy to see that Wright's was open. And while it was too inclement to partake of their car-hop service (and goodness knows we had already spent WAY too many hours in the car) we were able to head in and order a little something to take the edge off. 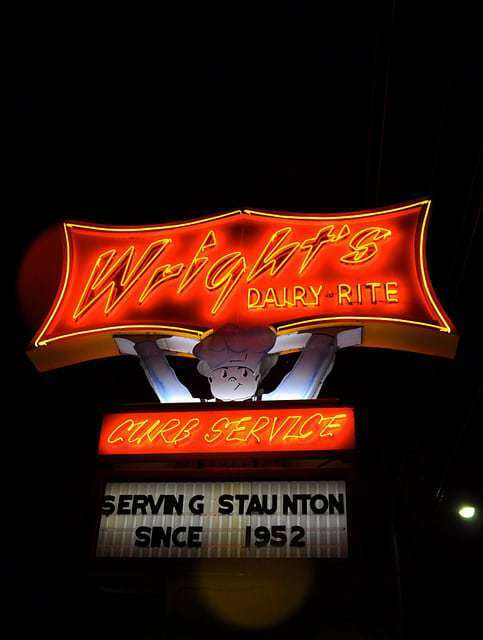 As the sign says, Wrights has been serving Staunton since 1952. 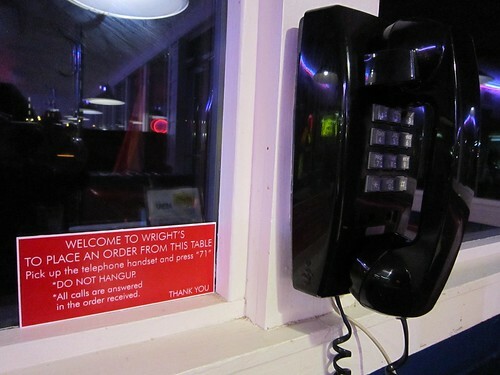 We did not see this arrangement - where you pick up the phone and wait for your order to be taken, then delivered to your table - until after we had ordered at the window. And boy did we feel boring for ordering that way, with Curb Service AND Phone service, we just walked up to the window and ordered.  Next time we'll be bold, innovate. Mod B is all about the salty with the sweet, so we had to get fries to balance out the "meal"
Here's an interesting note for burger lovers and those enamored with the history of said sandwich - the Wright's Dairy Rite Superburger (two beef patties, their own special sauce, lettuce and cheese layered into a triple decker bun) pre-dates the McDonald's Big Mac by 3 years. OK, so technically there's no pickles and onions on a Superburger, but I can't help but wonder if this served as an inspiration for that now famous McMac. Add them to your Superburger and create your own Faux-Mac. On warmer days the car hop service is available to 35 cars but if you spent all of your time in the car you may miss the fact that it's also a place for traveling famous people to stop by and partake of the local cuisine. 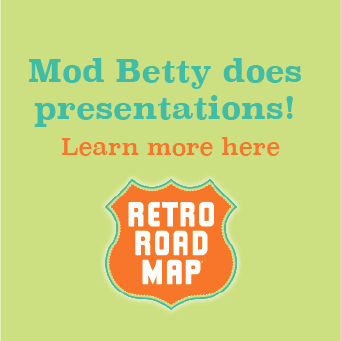 So do yourself a favor - get off of the highway, blow past those generic chains that cluster around the off-ramp like hemorrhoids, and know that you've got a cool authentic real place to grab a bite!